The Victor Menezes Convention Centre, or the VMCC as it is popularly known, is the primary venue for the Conference. 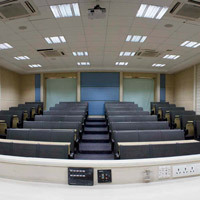 The Convention Centre is situated inside the Indian Institute of Technology Bombay (IIT Bombay) Campus in Powai, Mumbai. IIT Bombay is India's leading technological university and is situated about 9.1km/5.6miles from the Airport. The VMCC is a large convention centre with a seating capacity for more than 600 in it's various classroom rooms, foyer and the auditorium. Details of locations for the various tracks will be updated later. Workshops will be organised in the Victor Menzes Convention Centre itself. 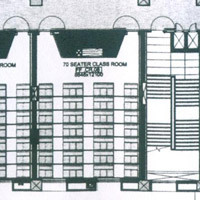 The Convention Centre has rooms that can seat 70 people and 150 people. The smaller rooms have a projector and a blackboard. 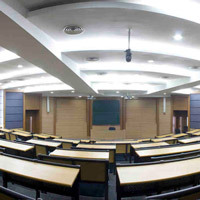 The larger rooms have two projectors, a large blackboard and an audio system and microphones. Wireless internet is available. Please note that the tables and chairs in the rooms are fixed and the floor has a slight slope. Organisers should keep these constraints in mind while planning their workshops. 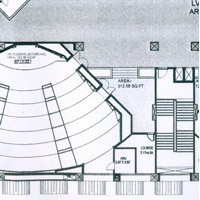 Open foyer spaces are available outside most rooms. Some of these spaces will be used for tea/coffee or for tracks like Posters, Demonstrations, etc.). If you wish to utilise any such spaces as a part of a (quiet) activity, it may be possible, but please inform the Venue Chair about this before the conference. Details of the customary INTERACT Banquet Dinner will be revealed closer to the event.